Coastal ecosystems are characterized by relatively deep, plankton-based estuaries and much shallower systems where light reaches the bottom. These latter systems, including lagoons, bar-built estuaries, the fringing regions of deeper systems, and other systems of only a few meters deep, are characterized by a variety of benthic primary producers that augment and, in many cases, dominate the production supplied by phytoplankton. These “shallow coastal photic systems” are subject to a wide variety of both natural and anthropogenic drivers and possess numerous natural “filters” that modulate their response to these drivers; in many cases, the responses are much different from those in deeper estuaries. Natural drivers include meteorological forcing, freshwater inflow, episodic events such as storms, wet/dry periods, and background loading of optically active constituents. Anthropogenic drivers include accelerated inputs of nutrients and sediments, chemical contaminants, physical alteration and hydrodynamic manipulation, climate change, the presence of intensive aquaculture, fishery harvests, and introduction of exotic species. The response of these systems is modulated by a number of factors, notably bathymetry, physical flushing, fetch, sediment type, background light attenuation, and the presence of benthic autotrophs, suspension feeding bivalves, and fringing tidal wetlands. Finally, responses to stressors in these systems, particularly anthropogenic nutrient enrichment, consist of blooms of phytoplankton, macroalgae, and epiphytic algae, including harmful algal blooms, subsequent declines in submerged aquatic vegetation and loss of critical habitat, development of hypoxia/anoxia particularly on short time scales (i.e., “diel-cycling”), fish kills, and loss of secondary production. 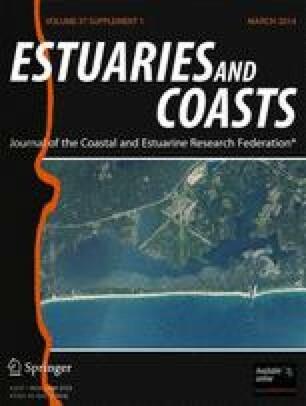 This special issue of Estuaries and Coasts serves to integrate current understanding of the structure and function of shallow coastal photic systems, illustrate the many drivers that cause change in these systems, and synthesize their varied responses. The authors gratefully acknowledge Estuaries and Coasts co-Editors-in-Chief Iris Anderson, Wayne Gardner, and Charles “Si” Simenstad for their immense support and constructive comments both on this paper and the entire special issue. We thank Taylor Bowen for his steadfast assistance managing the editorial process for this and the other papers in the issue. We thank Iris Anderson for her input throughout the process as co-chair of the original conference session that led to this issue and extend our gratitude to the authors who contributed their papers. Finally, we extend special thanks to Dr. Scott Nixon, whose lifetime of work in coastal systems continues to inspire us all. Support of the Institute of Marine and Coastal Sciences at Rutgers University, Jacques Cousteau National Estuarine Research Reserve, and Virginia Institute of Marine Science of the College of William & Mary is gratefully acknowledged. MJB’s contributions were supported by the Defense Coastal/Estuarine Research Program (DCERP), funded by the Strategic Environmental Research and Development Program (SERDP) (award no. RC-1413 and RC-2245), and Virginia Sea Grant (award no. NA10OAR4170085, VASG # R/715165). Views, opinions, and/or findings contained in this report are those of the authors and should not be construed as an official U.S. Department of Defense position or decision unless so designated by other official documentation. This is contribution number 1427 of the Institute of Marine and Coastal Sciences, Rutgers University, New Brunswick, NJ and contribution number 3347 of the Virginia Institute of Marine Science, College of William & Mary. Kennison, R.L., and P. Fong. 2014. Extreme eutrophication in shallow estuaries and lagoons of California is driven by a unique combination of local watershed modifications that trump variability associated with wet and dry seasons. Estuaries and Coasts. doi: 10.1007/s12237-013-9687-z.